On December 12, 2015 the newspaper, the major newspapers in North Caroline, Winston-Salem Journal p, The Durham Morning Herald, and the Raleigh News and Observer, all published as article, ” Researchers measure NC psychiatric bed shortage.” In this article, hard data confirmed what has been known for a number of years, the North Carolina, in spite of its unique and laudatory efforts, almost head and shoulders above most states in the US, still needs many more psychiatric beds. 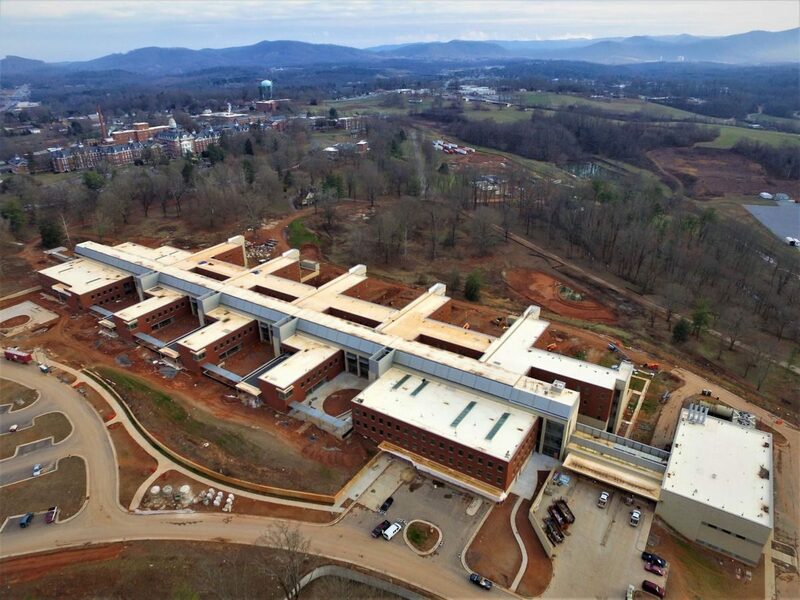 North Carolina is unique and to be regarded positively in its almost singular effort to spend hundreds of millions of dollars upgradings its entire state hospital physical plants over the last several years. Almost no other state in the Union is doing this in this time of tight state fiscal budgets, and the lingering slow recovery of the now nearly 10 years banking and housing bubble scandal-induced Great Recession. NC has closed one old hospital, the former John Umsted state hospital in the “institutional” town of Butner NC, just 20 miles or so NE of Durham and replaced it and the now closed famous Dorothea Dix Hospital of Raleigh named after the 19th century’s more famous mental health reformer, Dorothea Dix, with a new nearly 400 bed state hospital , Central Regional Hospital. NC has also nearly finished completing replacing the old “Cherry State Hospital,” in Goldsboro serving the eastern third of the state with another completely new facility. As an historical and “tourist guide” type aside, the town of Butner is tiny and sprang up in the rattlesnake-infested pine forests north of Durham in WWII when Camp Butner was built by the Army as a major military training center and was the site of a 4000 bed Army hospital for wounded veterans from the ongoing War in Europe. It was the second largest such hospital during WWII on the East Coast. After the war, in 1947, the year I was born it was sold to NC for $1 on the condition it be utilized as a state hospital for the mentally ill. On a persona note, my own training psychoanalyst, who came to NC to help state psychiatry at UNC Medical School, was named its first psychiatric superintendent. Butner is currently also the 30 year site for the famous or infamous “Federal Correctional Facity” where some of the worst federal psychiatrically insane criminals have been housed and evaluated such as Ted Kazsinski, The “Unibombers,” Mark Chapman, John Hinkley and many others. Once again the author finds himself balefully writing about the continuing appalling trends in mental health inpatient care nationally. However, I am moved to do only when I see a very good reference that I feel the reader interested in this vital topic, should be alerted to. A recent article in the news blog, Vindy.com of November 24th, 2015 showed that it does not take a nationally prestigious paper or news sources to put out a superb summary and analysis of a subject pertinent to this topic. In an article entitled, “Mental health care in Ohio shifts from hospitals to jails,” written by Peter H. Milliken [milliken@vindy.com] in Youngstown Ohio, the issues were as clearly spelled out as I have ever seen. That author started that “”in the past five decades, state-run psychiatric hospitals have been phased out with funds shifted into each community cereate outpatient care and support services for those afflicted with any of a number of mental illnesses.” He adds tellingly: “As in all complicated cases, the result has been a complicated stream of causes and effects,” and I would add ‘unintended effects’ that have marked ill conceived mental health reform efforts nationwide over the last 15-20 years. The three basic mistakes were 1) way too rapid closing of albeit aging state mental health hospitals and beds, 2) grossly inadequate replacement of those inpatient beds, the thinking being in the minds of frankly ignorant and misinformed ideology on the part of state level mental health planners and legislators, that the beds were not needed and should be “liberated” [my term] bourne out of the “de-institutionalization” misguided ideology arising in the 1950’s and 1960’s, and 3) the totally insufficient of funds to cover the community based needs as a result of the closure of inpatient, BOTH public and private. The author gives an example of a state hospital closing 19 years before, the Woodside Hospital, and its surrounding county gradually absorbing what sounds like an inordinate number of extreme mental patients who had no place else to go. He states tellingly, “We’re in a crisis for state hospitals,…we have days when there are no hospital beds for our clients,” quoting Duane Piccririlli, executive director of Mahoning County, whose jail had to pick up the slack. The article goes on to describe what happened in stark broad overview terms. The state of Ohio previously had 19 state hospitals but now has only six. Patient shifting as it is sometimes, called has occurred in a massive way from non-existent state hospital beds to jail beds. And it costs the state more in most studies to house such patients in jails than even so called “expensive” or “labor intensive care,” and the care if far poorer and more and more marked by preventable tragedies. One of the sadly recurring, and enduring themes of so-called “mental health reform” in this country, is the inevitability of a number of problems as state hospital beds are foolishly cut in this country and staff positions are cut as well. Today, September 22, 2015, the Raleigh News and Observer newspaper revealed and published some very disheartening and totally surprising news that illustrates yet another dilemma in the ever more difficult tasks in improving mental health care public services in this state, and, likely reflects the kinds of dilemmas that other states are and will be struggling with in facing up to their obligations in this area. The article is entitled: “NC budget cuts $110 million from regional mental health,” and can be read here. The state hospital system in this country began as an attempt in various of the early 13 colonies and later the early states as humane, for the most part, attempts to house the mentally ill. Williamsburg VA, now the site of Eastern Virginia State Hospital and a similar facility established by the Quakers in Philadelphia were two of the earliest efforts. There was no effective treatment until the advent of ECT (electroconvulsive therapy in the 1940’s and 1050’s with its own then shortcomings and crude, barbaric techniques till refined later, and the advent of psychiatric medications starting with Thorazine, Valium Elavil etc., in the 1950’s. By this time even the best efforts of Clifford Beers a man who had recurrent psychotic mental illness and wrote in the early 1900’s the first widely read autobiographical account of his onw psychosis which was a national sensation as it described basically for the first time for the public, the pain of being mentally ill, and Dorothea Dix the great crusader for the mentally ill the lattter half of the 1800’s, fell short of preventing the average state hospital from turning into a facility for containment, incarcertion, etc., of the mentally ill. The famous book ASYLUM was published in the fifties and cranked up the debate over “institutionalization” and debasing treatment of the patients in the average state hospital. This fueled, the movement to get patients out of state hospitals, then beginning to be thought of as cruel institutions and less as places of possible treatment or early rehabilitation. This book came on the national scene at the “right” time, caught the attention of the public, politicians, advocates and helped to state the partial dismantling of state hospitals nearly every where. Bed numbers were reduced from averages of a few thousand beds per hospital, as many state hospitals were indeed massive. Smaller was thought to be better and bed numbers through the second half of the 20th century over time came down to the hundreds. And this does not include the dozens of institutions that were outright closed, because of revelations of abuse, mistreatment, no treatment, subhuman conditions, and “warehousing.” The Comprehensive Mental Health Center Act of 1963 was enacted as one of the last major pieces of legislation of the JFK Presidency. Smaller treatment-oriented facilities were to be built all over the country by the hundreds, often to be linked up with major medical centers. One of the earliest community psychiatric hospitals so built was Marshall I. Pickens Hospital in Greenville SC next to Greenville Memorial Hospital. They both still exist today; GMH is the major teaching hospital because of its size and faculty, of the University of South Carolina at Columbia. The opening of Marshall Pickens Hospital was graced by the presence of no less than Hubert Humphrey in the early years of Lyndon Johnson’s administration after the assassination of President Kennedy. As usual I always bow to my internal ethics and try to be as open and transparent as possible about the subject at hand, revealing attitudes, biases, views based on long term experience, and an almost “historical view” of the galloping phenomenon of “mental health care delivery reform” thankfully occupying the attention of the country finally. I am old enough to have practiced in the so called mental health age of oodles of resources, and have watched them atrophy, became extinct, go corrupt and get themselves prosecuted out of existence, lose funding for many many understandable reasons, lose their place of importance, watch the ever decreasing number of bright talented younger generations of “would have been social workers, psychiatrists, and psychologists” shy away from the training programs, and our numbers go down especially in child psychiatry. One could take an inflammatory demagogic view and see is as necessary to prevent th abuse and horrors that indeed happened for decades shuttered away out of the light of public review and knowledge and responsible accountability and oversight. But that approach has nearly led to the old saw of “throwing the baby out with the bathwater because something was wrong with the bathwater, too dirty, too hot, whatever. I have seen the inhumane past and still in more restricted corners, inhumane treatment of patients in poorly run state hospitals that made me so mad I thought i would bomb them into the ground they were so bad, but of course after evacuating the helpless patients. I have helped to de-accredite the abominations of such hospitals, a few but enough to see first hand the decades old cultures of isolated facilities with poor faculty, psychiatrists who could work no where else due to histories of alcoholism, just plain bad practitioners and all the rest. I have had close colleagues since my residency days who presided over the deserved federally mandated dismantling of closure of famous hellholes permitted to exist far too long and heard their stories of generations of horror stories. But in the midst of all this, or in my case in the last quarter of my career, I still know and hold to the somewhat unpopular certitude that state psychiatric hospitals are needed, good ones and now more than every. One simply statistic is that out country’s population and mental health treatment burden has at least doubled if now tripled since World War II. And we have had new mental health phenomenon syndromes, traumatic brain injuries of unforeseen overwhelming magnitude outstripping the abilities of public and private psychiatric-neurological treatment worlds to receive, treat and comprehensively help them out of our IED head rattling new genre of injuries in the Middle Eastern conflicts we have had to enter, police and try to stabilize at little thanks from much of the rest of the concerned world with some exceptions. State hospitals across the country have been marked for closure and destructions for decades with the trend accelerating greatly in the last 2o years or so. It was thought and expected the the monies saved from funding these “dinosaurs” would be responsibly shifted to the long known need for massive outpatient services for the CMI, chronically mentally ill for which the state hospitals had long existed and served, and served well in a surprising high number of hospitals. Remember the famous Meninnger family of three generations of nationally recognized humane psychiatrists practiced in a state public hospital, Topeka State in Kansas a venerable training and research facility itself.